If you’re already familiar with Builford, these women’s waxed canvas bags might not be unexpected at all. But if you aren’t, the idea of pairing fashion with waxed canvas isn’t exactly common. As you’ll see, however, the pairing works beautifully. The results? Sophisticated, luxury vintage style bags we think many women will love. The Builford collection is fairly extensive. While the backpacks and rucksacks take much of the attention, they’re certainly not the only things to look at, and not the attraction of women’s waxed canvas bags. This post will focus primarily on the smaller bags, such as messenger or cross bodys. The first we have to mention is the Versatile Bag. While the name seems to speak for itself, it doesn’t tell you that it’s actually closest to a clutch. Yep, a waxed canvas clutch! This small, slim bag comes with a shoulder strap, though you can carry it like a clutch as well. Although you can dress it up or down, the Versatile Bag is a bit more formal simply due to its minimalism. For something a bit more casual, try the Carry All Tote Bag. This great addition to the world of women’s waxed canvas bags is also a bit minimalist, but the two-tones give it some flavor and spark. For ladies looking for something with a bit more styling, the May Vintage Tote Bag is the way to go! It’s an adorable bag that’s somewhere between a tote and a handbag. Try it in a lighter grey. The gentle harmony of the canvas and the leather makes a fashion statement to remember. These are just a few examples of the women’s waxed canvas bags in Builford’s collection. There are definitely a few others we could give the spotlight to. Check them out yourself and go shopping on the Builford website, www.builford.com! 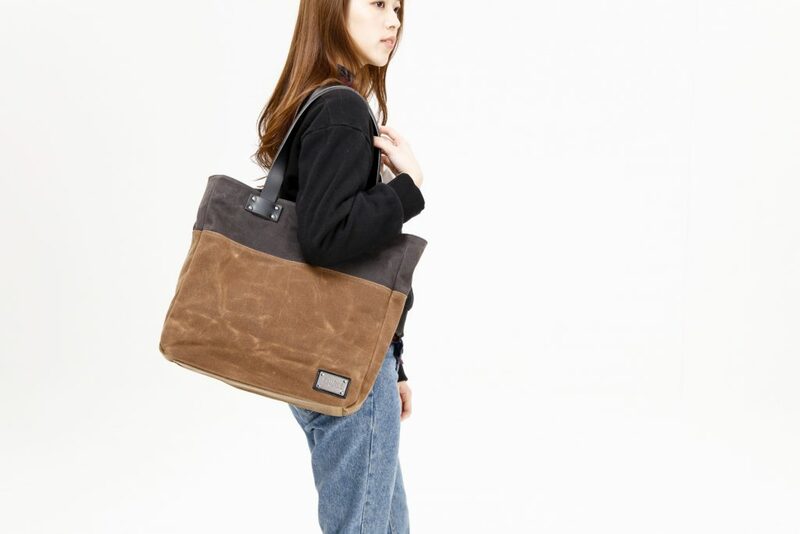 Share the post "The Unexpected Beauty of Women’s Waxed Canvas Bags"
Posted in Blog and tagged builford, builford women's bags, carry all tote bag, may vintage tote bag, Versatile bag, waxed canvas bags, waxed canvas fashion, women's handbags, women's waxed canvas bags, womens bags. Bookmark the permalink.